Me and fellow intern, Bailey Schrupp, at our workstations. This post was written by Cat Staley, a MLIS student in the University of Kentucky’s School of Library and Information Science program. Interested in exploring an internship of your own? Applications are still open for Summer 2016 projects! 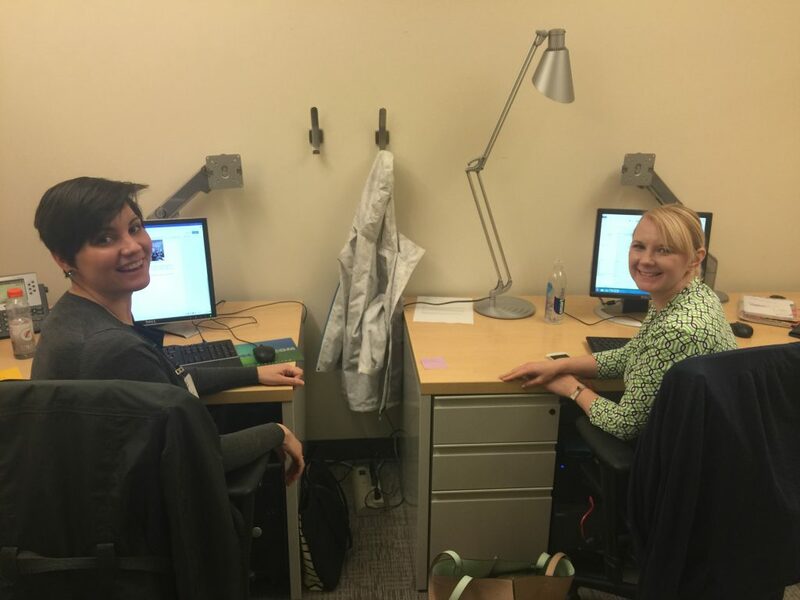 Over spring break, I and four other University of Kentucky School of Library and Information Science graduate students interned at the Smithsonian Libraries in Washington, DC. With our supervisors’ guidance, my classmates and I worked on projects in Advancement, the Biodiversity Heritage Library, Artists Files, Scholarly Communications, and Social Media. Megan Lucy, who spent time in Scholarly Communications, summed up our experience well when she said, “I valued being exposed to so many different aspects of librarianship in such a short time” — which is true because we accomplished a lot in one week!